Camilla Dahlin and Katja Nord came up with the idea to start an Abba tribute band together in 1996. They asked for Bjorn Ulvaeus and Benny Andersson’s permission and got it. They decided on the name Waterloo. They have run the group since then along side with taken the roles as Agnetha Fältskog and Anni-Frid Lyngstad on stage. Their goal was to be as similar to the originals as possible to give the audience a feeling of seeing the real ABBA on stage again! In 1999 they had their breakthrough in a popular Swedish TV show called “Sikta mot Stjärnorna” which was a sing and look-alike competition. It took them onto the European finals in Manchester – “Stars in Euro Eyes”. Nothing is left to chance, they make their own clothes to look just like ABBA’s and have the true original sound for the real ABBA experience. This is an never ending process. 2001 Camilla & Katja started a cooperation together with CSB and “ABBA THE SHOW”. Quality is very important and is their trademark and thanks to that they were honourably described by the Official International ABBA Fan Club as “the best ABBA since ABBA”. In 2006 Waterloo celebrated their tenth year anniversary, which took place at Hotel Rival in Stockholm. Owe Sandström, the creator of ABBA’s fabulous stage clothes, kindly participated – and for the first time decorated the stage with original ABBA stage clothes. During the celebration the original ABBA musicians Ulf Andersson, Lasse Wellander and Roger Palm joined in on stage. It was an unforgettable night! In ABBA THE SHOW, Camilla and Katja have the main responsibility for the band and are responsible for how the show is built up, including everything from writing the manuscript to sewing the stage clothes. Camilla and Katja have been fans of ABBA ever since the big breakthrough in 1974. Camilla was invited to the recording of the music video of “Thank you for the music”, and is also featured in the video. Camilla and Katja started singing together as teenagers. They have been lead singers in different bands and are influenced by many different types of music, such as pop, rock, jazz and folk music. They have also sung backing vocals for many different artists and have produced a CD in 1994 with children’s songs. This was accompanied with a successful show in 1997 called”Trollpackan”, which was intended both for children and their parents. For this they received an honourable scholarship from Stockholm’s county. Camilla and Katja have toured all over the world with ABBA THE SHOW and have sold out arenas, such as Hollywood Bowl, Royal Albert Hall and Wembley Arena in London and to mention one in Sweden, Dalhalla was a great experience. In the future they plan to continue with the wonderful and grateful job of letting ABBA’s music live on with a great deal of respect for its quality. And they hope to spread joy to ABBA fans all over the world with their tour ABBA THE SHOW. Ulf Andersson was one of the most sought-after saxophone players in Stockholm in the 1970s, and Björn Ulvaeus and Benny Andersson and their sound engineer Michael Tretow immediately thought of him when they needed a groovy musician. The most famous of Ulf's saxophone features probably remains the recording of I do, I do, I do. 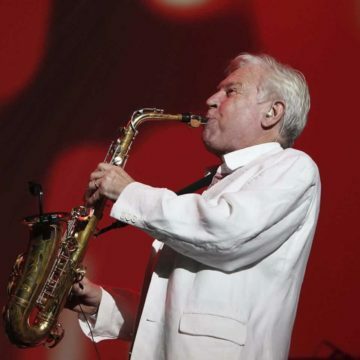 He is still one of the most wanted saxophone players in Europe and has performed with Monica Zetterlund, Tchad Jones, Frank Sinatra Jr, Georgie Fame, Rich Matteson, Larry Willis, Lars Samuelson Big Band and others. Ulf Andersson also participated in the ABBA world tours and has appeared on thousands of recordings. Roger Palms ABBA-period began before ABBA was born, and started out with studio sessions on AnniFrid Lyngstad and Agnetha Fältskog soloalbums as well as Björn and Bennys recordings of there own songs with themselves and other artists. A new CD-album entitled ``Lycka``, with Björn and Benny's songs from the early 1970th is to be released in Europe in may 2006, and contains the very first recordings to feature all four members of the upcoming ABBA. Rogers first recording with ABBA was ``Rock 'n Roll Band`` recorded in august 1972, followed by titles as: Mamma Mia, Rock Me, Dancing Queen, Intermezzo no 1, One Man, One Woman, I do, I do, I do, I do, I do, Take a chance on me, Thank You for the music, and on ABBA-related recordings. 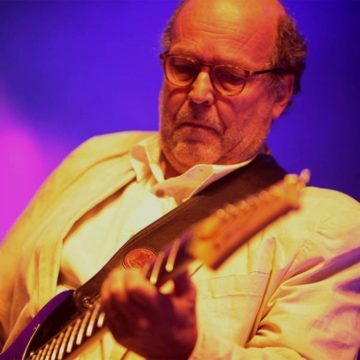 Lasse Wellander started playing the guitar as a youngster in the early 60s. 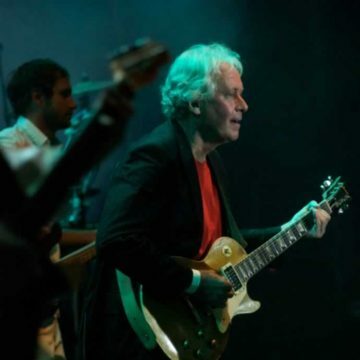 His first ABBA session was in October 1974 when Intermezzo No.1 and Crazy World were being recorded and he later became the band's main guitarist and toured with the group in 1975, 1977, 1979 and 1980. He continued working with Björn and Benny following the ABBA period and appeared on the Chess concept album, the two Gemini albums, and also on the 1993 Josefin Nilsson album Shapes. 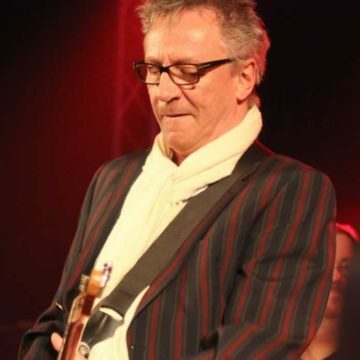 Lasse has also had some solo successes including two Top-40 albums in the mid-1980s and a big radio hit with his instrumental version of the Chess song Anthem in 1992. Powerhouse was a blues club in Örebro, which became an important factor in Mats musical background. Performing there in the 1960s he first met the already established musician Lasse Wellander, who was part of Peps & Blues Quality. With Wellander and Bosse Skoglund he went on to form the band Nature in 1970 releasing two albums with Gump, a label owned by Metronome. Nature also toured with artists including Pugh Rogefeldt, Ted Gärdestad and Ulf Lundell. In 1979, Mats Ronander was invited to perform with ABBA on their world tour, when Björn and Benny needed a guitar player who could also sing. The history of the National Symphony Orchestra of London (UK) began in the 1940s when young musicians in uniform gave concerts to wartime audiences. By the end of WWII, it was acknowledged to be one of the finest orchestra in Europe and went from strength to strength, continuing to make records and record the sound track for major films, including the cult film, Brief Encounter. 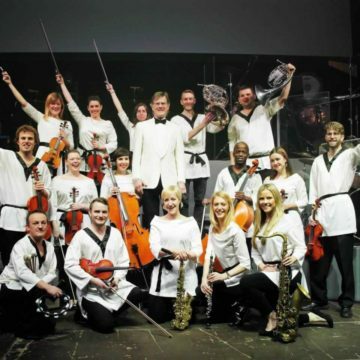 Since the 1980s the orchestra has given concerts all over Great Britain and Europe, made more than 40 complete recordings of classic musicals for That’s Entertainment Records, appeared in many films and worked with artists, composers and conductors such as Robbie Williams, Elvis Costello, Sheryl Crowe ,Barrington Pheloung, Ron Goodwin, Reba McEntire, Cliff Richards, Morcheeba, G4 and Katherine Jenkins. The latter has now appointed the NSO to be her official orchestra for all her major tours in Great Britain. The orchestra recently took part in a unique concert. The Artistic Director of the NSO Anne Collis, was commissioned to create a 45-minute piece for live musicians from the electronic score by Michael Andrews for the cult film Donnie Darko. The first performance took place in August to a capacity audience of 10,000 excited Donnie Darko fans in London’s Kensington Gardens. The NSO is particularly proud of its long association with ABBA – THE SHOW. For nearly five years now the younger members of the orchestra have been regularly touring Europe, Scandinavia, Asia and the USA with this exciting show. Matthew Freeman is a Platinum and Gold disc award-winning conductor, arranger and pianist who enjoys a diverse international career. His association with the Royal Philharmonic Orchestra began in 2004 with the album Symphonic Rock. 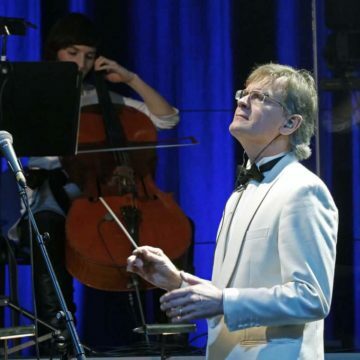 He has conducted the latest album in the series, More Symphonic Rock, and in 2014, conducted concert performances in Russia and the Baltics. In 2010, he conducted the Royal Philharmonic Orchestra in the presence of HRH The Prince of Wales, celebrating twenty-five years of HRH’s Business in the Community programme. He recently conducted and arranged the new CD of Symphonic Queen, performed at Royal Albert Hall in 2017. Matthew Freeman's first venture into the world of ABBA was to conduct and arrange IQ Magazine's award-winning ABBA The Show. It has played in forty countries and at Wembley Arena, following in ABBA's footsteps, on two occasions. Matthew is Musical Supervisor of the Olivier Award-nominated musical The Rat Pack Live from Las Vegas. He has enjoyed an active role worldwide since its West End debut at the Haymarket Theatre in 2003. The Rat Pack returned to the West End for a sixth time in 2017. Matthew Freeman has conducted and arranged over fifty albums for, amongst others, Larry Adler, Dame Shirley Bassey, Vic Damone, Howard Keel, Millicent Martin, David Soul, Lorna Luft (creating a duet with Judy Garland) and Roger Whittaker. He was invited to arrange and conduct Decca’s celebration of the Queen Mother’s 100th Birthday. He has been the personal musical director for Dame Shirley Bassey, Michael Crawford and Anthony Newley, as well as for Mary O’Hara at Carnegie Hall, the Sydney Opera House and for her sixteen-part television series with the City of London Sinfonia. In 2017 he conducted and arranged a concert of Doris Day songs at Cadogan Hall and has orchestrated music for the Whitney Houston Show in 2018. He has conducted and arranged the music for the British Fashion Award and was Musical Supervisor for the Olivier Awards. At the Royal Variety Performance he conducted Dame Shirley Bassey and for Sir Peter Hall’s production of Amadeus at London’s Old Vic, he created and performed the fortepiano music. Credits in the film world include vocal coaching with Drew Barrymore, Elizabeth Shue and Keanu Reeves. Formed 1968 the group OPUS III that also included Ola Brunkert. 1969 came the album OPUS III with Jannes tunes. 1970 he started his career as a studio musican (over 4,700 sessions) and 1971 he and Ola played at Ted Gärdestads first album “Wonders”. Producers for that album were Björn and Benny and background vocals were deliverd by Annifrid och Agneta. Before the release of Teds album Björn and Benny called Janne and Ola and asked if they liked to be part of a “project” as later became ABBA. In the beginning of the “project” they tested and improvised a lot and some parts of the music were created in the studio. The first song that Janne recorded with ABBA was “People need love”. During the years up to the last album he played at 47 of ABBAs about 100 songs. Some of the tracks that Janne recorded are: Ring ring, Waterloo, Mamma Mia, SOS, Knowing me knowing you, Super trooper, Voulez vous, I have a dream, Happy new year, Thank you for the music, Eagle, Bang a boomerang, So long, Why did it have to be me and so on. 1973 Janne recorded his first solo album, sold gold and competed with ABBA and Ted Gärdestad on the top-lists. 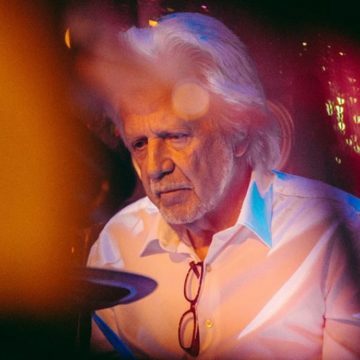 During the years Janne has recorded 14 solo albums and (1978 he recorded an album in Los Angeles with members from TOTO as turned out to be great fans of ABBA) and also 6 compilation albums in his own name. He had also time for a musical album, The Wizard from Oz . Besides playing the guitar he also wrote and produced the music on the 5 albums with Electric Banana Band,. He has received 2 Grammy Awards and The Swedish Goverment awarded him the medal: Illis Quorum. In the eighties Janne and Björn J:son Lindh toured frequently in Germany and Switzerland. Last autumn the musical “Banankontakt” was presented at Malmö Operahouse with music composed by Janne and lyrics by Lasse Åberg. It was big success both among critics and audience. Janne is constantly touring with among others Björn J:son Lindh, Electric Banana Band and his own band. This is the first time since the ABBA sessions that Janne performes and and plays ABBA songs in larger events like these..
Born 1951, Finn Sjoberg was musically raised in the Swedish city Orebro during the sixties. Funny enough two of his playmates in the intense music life of Orebro was the two later-to-be ABBA guitarists Mats Ronander and Lasse Wellander. At that time all kinds of music from the famous contemporary pop groups to a lot of blues and even deep into a lot of jazz were essential parts of life. In 1970 Finn moved to Stockholm, to study, with poor success. Soon he played in the ”Swedish progg”-group “Kvartetten som sprängde”. After that he started to work as a freelance musician with different Swedish acts - backing up the international Swedish star Harpo, among others. Trying to grow up, he was contracted as a record producer on the Swedish label Metronome, where he produced a number of high quality records. Finns’ ABBA period stretches from 1974 to 1977. At first Finn was the extra guitarist in the group Beatmakers who did a few tours backing up ABBA. Later followed a few tours with a more regular freelance musician setup. The last tour was the Australian tour 1977, documented in ABBA - the Movie. Finn did approximately 50 live gigs with ABBA. Over time Finn also joined ABBA in the studio. For a guy interested in instrumental music, it was fun to take part in the recording of Intermezzo #1, Benny’s instrumental. Other nice moments where Mama Mia and Rock Me among others. After the ABBA period, Finn worked a lot in the studio, both as a musician and as a producer on a number of records. He started a 17-year period as the guitarist with the famous Swedish singer Lill Lindfors.